As a responsible company dedicated to helping people it is our main goal to produce only high quality therapeutical weighted blankets and to meet our customers’ expectations. How do we achieve our goals ? Did you ever wondered what happens with returned blankets ? We are giving them to orphanages and retirement homes, who often cannot afford them. We want to help children and older people, who can benefit a lot from our products. Our Gravity Blankets have proven to help many people with autism. We want to make a significant contribution to helping people with autism, therefore we support some associations, who work with autistic people. We believe in equality, that is why we employ people with mental and physical disabilities. Our friendly work environment makes it possible for disabled people not only earn their salaries, bot also to develop their skills. We promote a sustainable production process and we believe that efficiency, social responsibility and environmental protection are inseparable from each other. It is crucial for us that only environmentally friendly products should be used throughout the entire production process.The whole production process takes place in Europe. 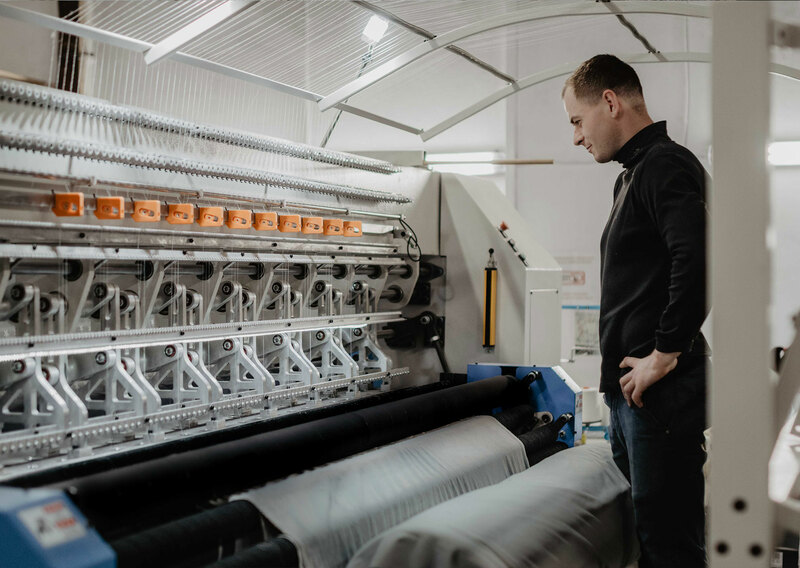 We only use 100% organic cotton from Spain, promote sustainability, the use of green energy sources and strict waste seperation at our production plant here in Poland. In addition we put a lot of effort to create fair working conditions for our employees, who take part in the realization of our environmental targets.